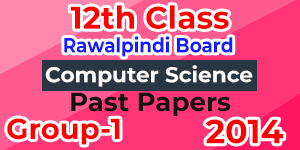 BISE Rawalpindi is a governmental body responsible for conducting the examination of Matriculation and Intermediate. Established in 1977, it is one of the most prominent educational boards of Punjab and whole of Pakistan. The jurisdiction of BISE Rawalpindi lies upon the districts of Rawalpindi including Rawalpindi, Jhelum, Attock and Chakwal. 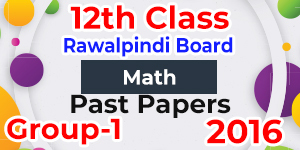 The board conducts the examination of Intermediate every year. 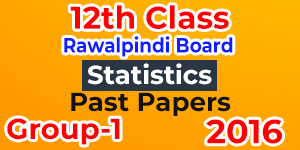 The students of 2nd year including FSc, F.A and I.Com can download the past papers taken under the management of BISE Rawalpindi can be downloaded here. 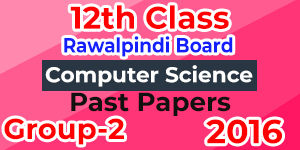 The students of FSc part 2 and other of contemporary classes can download the papers here without any obstacle. 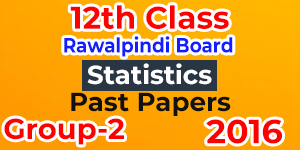 Just click the paper and download it for your preparation of 2nd year.